The IDF expects a sharp increase in the number of religious girls who opt for full army service in the coming year. During the draft period between April 2010 and April 2011, some 1,200 18-year-old young women who classified themselves as observant entered the ranks of the IDF. Army officials expect that number to grow by about 25% this year, with some 1,500 girls signing up for service by the time the current draft period ends in April 2012. For the third year in a row, the IDF held a conference Wednesday designed to answer questions by potential religious female draftees about army service. Officials of the IDF education unit, which sponsors the event, were said to be shocked at the large number of girls; over 1,000 attended, the largest number of attendees in the three years the event has taken place. It is hifhly possible that this reflects the growing population of religious girls and is not larger percentage-wise. Currently there are some 2,000 religious female soldiers, serving in a variety of capacities – many of them in administrative and educational capacities. At least one is in line to be promoted to the rank of brigadier-general. In response to the demand, the IDF has opened up a number of new opportunities for religious female soldiers that would be appropriate for them – ie; allowing them to avoid intensive battlefield conditions with male soldiers, and allowing them to dress appropriately, with skirts, etc. The opportunities were decided upon after IDF soldiers conferred with the Chief IDF Rabbinate and the Alumah organization, which aids female religious soldiers. The girls who enter into active IDF service most often do so against the advice of family and community. All Orthodox rabbis – from both the hareidi and the national religious world – ban IDF service for girls, except for the situationwhere Israel would be in such danger that everyone had to enlist. All of Israel's Chief Rabbis, Sephardic and Ashkenazi, have from the beginning of the state banned such service as well – and would have liked to see all Jewish Israeli girls exempt from the army - instead suggesting that girls volunteer for the National Service (sherut le'umi) program, which the Knesset has adopted as a full substitute for religious girls who wish to serve the country and will not join the army. The halakhic reason behind this ban is to prevent a situation where women are under the jurisdiction of an external [male] hierarchy. Girls who are unhappy with their national service position can switch jobs and even leave the service if they so wish, while female IDF soldiers do not have that right and are assigned their positions. The high standards of modesty for religious girls are another issue, a problem well known to those who are have experienced army milieu. Religious girls have a legal right to declare that they are unable to serve in the IDF because of their convictions, and are then eligible to fulfill their desire to serve the state by volunteering for National Service. Speaking to reporters Wednesday, Amir Rogovsky of the IDF education unit said that the fact that so many religious girls wanted to serve in the IDF showed that “many girls realize that they will be able to do much more for the state by serving in the army than they could in National Service. This event was a big success, despite the comments by many leaders of the religious community over the past week against it,” he added. However, that is a minor opinion. Educators and figures associated with the various forms of service for women agree that national service volunteers fill crucial needs that financially strapped Israeli public institutions cannot manage without, in schools, hospitals, immigrant absorption and more, while the IDF non-combat jobs can be filled just as well by the many soldiers whose physical profiles prevent their serving in combat. 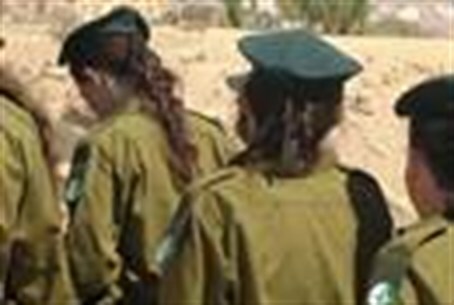 In an interview with Arutz Sheva Wednesday, Raz Sagi, an IDF soldier who directs the IDF Defense Forum, said that he was utterly opposed to women serving in combat conditions. “I am not observant, but all studies show that combat duty damages girls,” and many have sustained long-term physical and emotional scars because of their service. “It should be noted that despite propaganda by feminists, only 3% of all girls in the IDF are in combat units,” he said. “In some cases, whole exercises have been called off because of the injuries these soldiers sustain. As a secular person, I do not see any religious issues in my position,” he added.